It took us two trips to Aztec to search for the crash site, and even then, we were unsuccessful. On our first trip, arrogance prevailed, and we didn’t bother to look up the directions ahead of time. 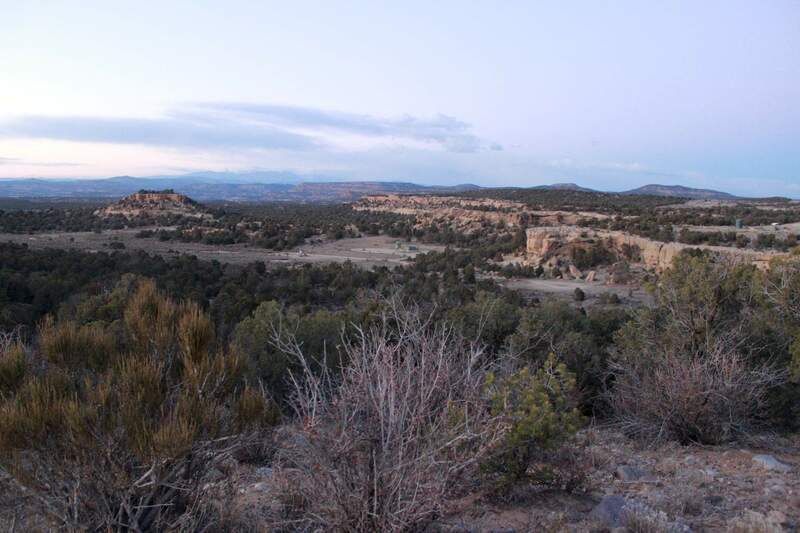 The terrain proved rough and confusing, and out of fear of getting stuck on the mesa, we turned around, defeated. The second trip we planned more carefully, printing out a map and paying attention to the roads we passed. We found the parking area and the scraggy mountain bike trail, but the rocky route was hard to follow, and we had to guess at what we hoped was the right direction. We kept an eye out for a plaque commemorating the site, but alas, we were once again unsuccessful, and began to worry about getting lost as the sun disappeared behind the mesa. We headed back to the car, disappointed. 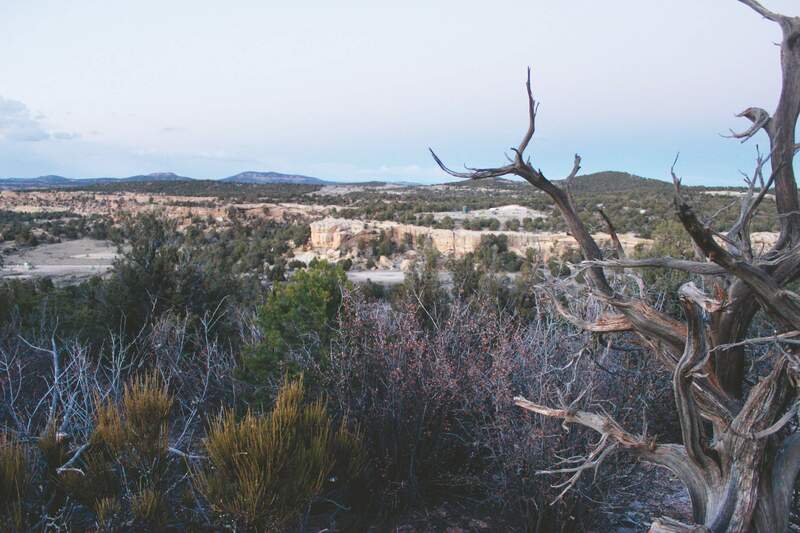 As we drove back down the winding dirt roads, we passed a rock formation that could pass as the Sphinx in the oncoming darkness, and agreed that of all the places we’ve traveled in the Four Corners region, if we were going to encounter a UFO, it’d be here. We failed in locating the actual UFO crash site but this is about where the saucer would have crashed. A meeting of the mindsThe 1948 Aztec UFO crash incident is a controversial topic among those who discuss the extra-terrestrial. There are many a theory, including talks of cover-ups and hoaxes. The Ramseys have spent more than 30 years and $500,000 researching this event, and it’s hard to imagine anyone more dedicated to the Aztec UFO crash. In fact, Scott and Suzanne even met through their mutual interest in the event. Suzanne was a child living in South Dakota when she first heard of Aztec. It was a decade after Variety magazine columnist Frank Scully published his book, “Behind the Flying Saucers,” in 1950, which documented the incident. Scott later became a guest on Suzanne’s local news talk radio show, For Your Information, and the rest is history. The trio was drawn to the Aztec story because of the level of documented proof about the incident occurring. “I guess I was intrigued because I thought, ‘How did something spectacular happen, and all the spotlight was put on Roswell, and this is much more documented?’” Scott said. 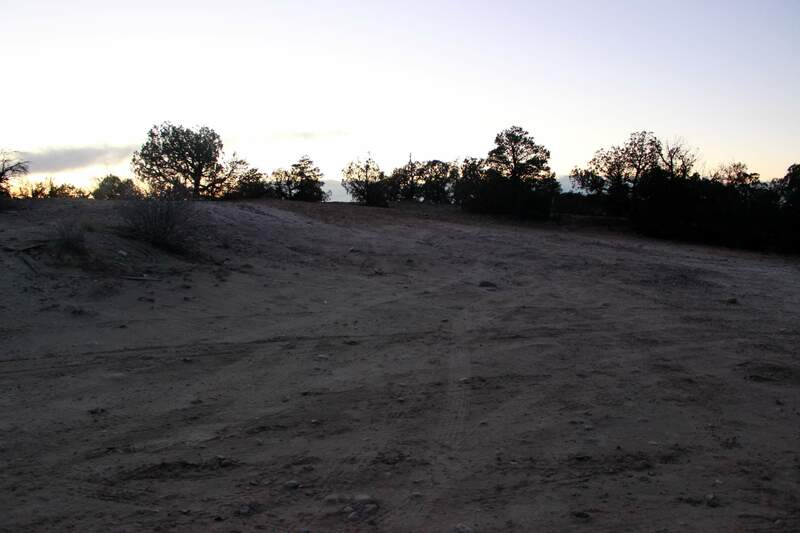 The sun begins to set over the remote parking area that leads to the Aztec UFO crash site. Decades of research The Ramseys and Thayer, who is a professor emeritus at New Mexico State University, are known to spend years dissecting sources to ensure their credibility. They’re painstakingly scientific in their approach, and are not amused by those who look to sensationalize the Aztec story. It even takes us a phone call and a several emails back and forth to convince them we are not interested in turning their research into a tabloid cover. For example, they were trying to identify the group of scientists from which Scully got his information. Scully never revealed their identity, and refers to them collectively as Dr. G.
The Ramseys and Thayer spent two or three years researching who these scientists could have been based on Scully’s descriptions. Eventually, they ended up in the archives at the University of Minnesota, and with the help of the university’s archivist, they unsealed boxes with documents relating to a doctor who had died in 1950. Until that point, they had never been opened. The research team is currently chasing down a lead from a man who claims that while at Wright-Patterson Air Force Base in Dayton, Ohio, he was privy to information on the Aztec crash in the 1950s and early 1960s. A hoax or a cover-up?The journey of the Aztec UFO crash incident has not been an easy one. In 1949, the account was published by Scully in his Variety columns. A year later, he published a book, “Behind the Flying Saucers.” After the book was published, two of the story’s witnesses, Silas Newton and Leo Gebauer, were accused of concocting their accounts to sell fake alien technology in a money-making scheme. The public faith in the incident fell apart after Newton and Gebauer’s stories collapsed. The Ramseys and Thayer believe that the con man component may be a red herring. Wider access to documentation from government sources, like the Hottel memo, from March 22, 1950 – the most viewed document in the FBI Vault – have also bolstered more recent belief in UFO stories. 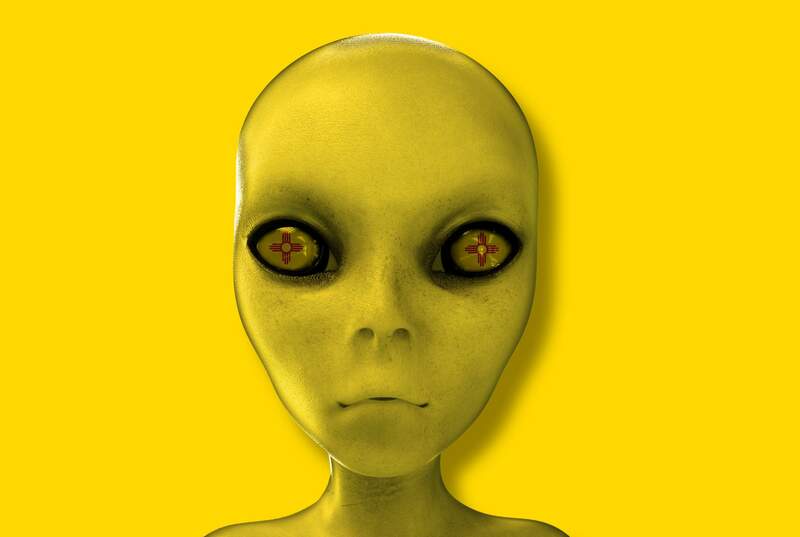 “An investigator for the Air Force stated that three so-called flying saucers had been recovered in New Mexico. They were described as being circular in shape with raised centers, approximately 50-feet in diameter. Each one was occupied by three bodies of human shape but were 3 feet tall, dressed in metallic cloth of very fine texture. Each body was bandaged in a manner similar to the blackout suite of speed flyers and test pilots. 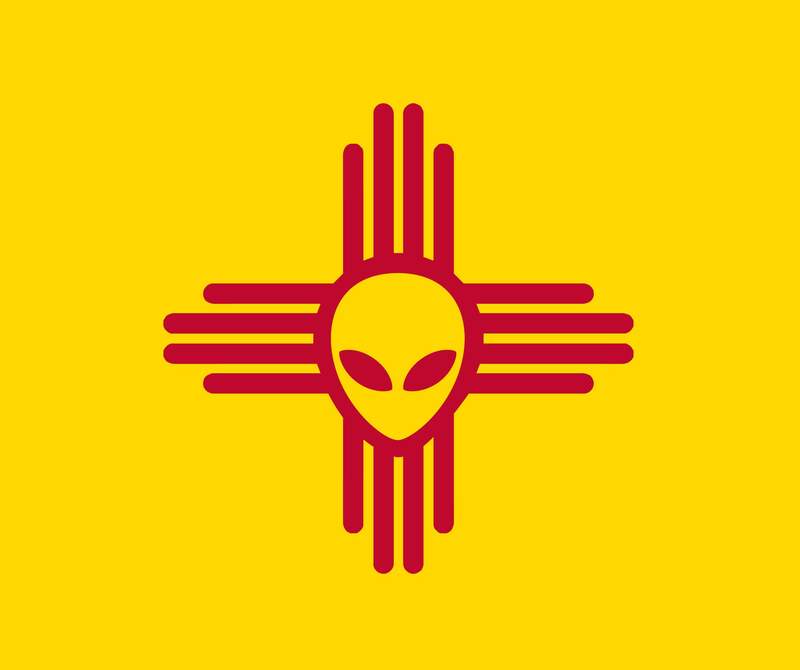 According to Mr. --------- (redacted) informant, the saucers were found in New Mexico due to the fact that the Government has a very high-powered radar set-up in that area and it is believed the radar interferes with the controlling mechanics of the saucers. The memo was addressed to FBI Director J. Edgar Hoover and indexed in FBI records. While many people originally believed the memo was referring to Roswell, some believe the document was actually referencing Aztec. One such document they’ve unearthed is about a sting operation that took place in downtown Denver between the FBI and the Army Counterintelligence Division. The agencies set up the sting to buy photos of the crash from a man peddling them to an alleged reporter for $2,500. Fellow researcher of the Aztec incident Bob Koford – who has worked with the Ramseys and Thayer – believes that, based on evidence he and other researchers have uncovered, it’s feasible to at least entertain the extraterrestrial hypotheses, even if it might seem like an outrageous idea. “My evidence that I’ve discovered on my own research seems to just solidify the fact that something happened, and it was of a flying disc nature – as far as that’s what the documents will prove,” Koford said. The most compelling evidence for him was when the Intelligence Group Chief Colonel Riley Ennis authored a directive that was published on the day the crash is believed to have taken place, March 25, 1948. Mike Price, an aviation historian who has worked with the Ramseys and Thayer in their research of the Aztec UFO crash incident, believes that the ramifications of humanity being able to harness UFO flight technology would be huge. We agreed that if we were ever to spot a UFO, it would be in this eerie, desert landscape. Handle the truthThroughout our talk with the Aztec crash researchers, there’s much discussion of government secrecy and cover ups. A question comes to mind. While Price believes that there are probably some military reasons that the government doesn’t want to come forward with, he believes that the public is at the point where they could handle the idea of extraterrestrial life. However, Suzanne believes that because the government has had to cover up stories like Aztec for so long, it would be a mess if they came clean with the truth.